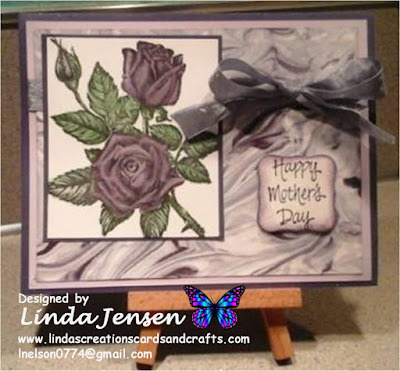 I made this card several years ago and don't recall all the supplies that I used but will give it my best shot and even include a tutorial LOL! 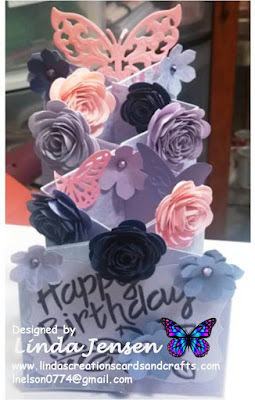 Here goes: I created the various die cuts with a Stampin' Up! 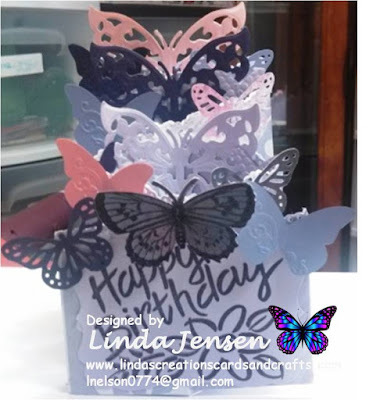 Beautiful Wings Embosslit, Spellbinders Wings of Hope dies, and a Martha Stewart Butterfly punch. I stamped the front butterfly with an Inkadinkado stamp and the sentiment with a Stampin' Up! Bold Blossom Greeting stamp. Wow I did better with that than I thought I would LOL! Click here to view the tutorial.